Australia boasts more than 1.5 million homes with solar panels to date, with many more systems being installed each month. Now the Tesla Powerwall is available, many home owners are thinking about adding battery storage. So, how can you retrofit Tesla Powerwall battery to your existing solar PV system? Adding home battery storage to an existing solar power system enables home owners to store their high-value solar PV generated electricity instead of exporting it to the grid and perhaps only receiving a low feed in tariff. The energy can be withdrawn from the battery in the evening and reduce the amount of mains-grid electricity purchased during peak times, such as 5 pm to 9 pm. With correct solar + battery system sizing and configuration, every watt of your solar electricity can be used within your own home, instead of sending it to the grid in times of surplus. In an ideal scenario; the battery provides peace of mind that the house doesn’t have to import any energy from the grid during peak times. With residential energy storage installed, home owners may also be able to change from a flat rate electricity tariff to a time of use (ToU) tariff. The tables can be turned on electricity retailers by making time of use tariffs work for the home owner, not the power company. PLEASE NOTE: The following information is in relation to the original Powerwall. Retrofit of the new Powerwall 2 is much simpler. The answer is reasonably straightforward in order to retrofit Tesla Powerwall Battery. You’ll need to have the Powerwall ‘ AC coupled’; using either a SolarEdge inverter with a StorEdge interface for the Powerwall, or the SMA Sunny Boy Storage 2.5. Both are solutions for single phase; which covers most homes in Australia. The good news is both the SMA Sunny Boy Storage and SolarEdge StorEdge solutions are available in Australia. The following image depicts how a setup looks using SolarEdge. Both the SMA and SolarEdge retrofit solutions work in the same way. Each system includes the Powerwall, an inverter and a grid import/export meter. The SolarEdge meter is called the SolarEdge Modbus meter, while the SMA meter is called the SMA Energy Meter. The retrofit Tesla Powerwall Battery doesn’t have to communicate with or connect to the existing solar PV system at all. They are two completely separate systems. The meter is installed in the switchboard and measures the real time rate of energy flow (i.e. the power) either to or from the grid. Information from the meter is sent back to the inverter. If the existing solar PV system is producing more power than the house needs, then the excess electricity starts flowing to the grid. The SolarEdge or SMA meter detects this export flow and informs the inverter; which then starts charging the battery. The rate of charge is adjusted so that it absorbs all excess power from the solar PV system, so nothing is sent to the grid. In the evening, when the solar PV system can’t produce enough power to supply the house, energy starts being imported from the grid. The SolarEdge or SMA meter detects this and informs the inverter; which then starts taking power out of the Tesla Powerwall and supplying it to the house. The inverter controls the rate of energy withdrawal (i.e. the discharge power) so that it exactly matches demand and nothing is imported from the grid. The SolarEdge solution assumes that a solar array is connected to the inverter, so if the system is installed as a retrofit, the SolarEdge portal will show that the solar PV yield is zero. However, you can still monitor the yield of your solar PV system in the same way you used to – either by looking at the inverter display or the online portal for your existing system. The reason the SolarEdge system behaves in this way is because it doesn’t know how much energy is being generated by the existing, separate solar PV system. SolarEdge is working to develop a new feature to allow a second SolarEdge Modbus meter to be installed to measure the output of the existing solar PV system. If you wish to retrofit a Tesla Powerwall without touching your existing solar power system, the SolarEdge and SMA systems are a good solution. They are both immediately available and you’ll also be able to continue using your existing inverter. SolarEdge inverters have a class leading 12 year warranty and were the first inverter partner that Tesla Energy announced. The SMA Sunny Boy Storage 2.5 also has a solid warranty. It’s manufactured by Germany’s SMA – a leader in inverter technology with 35 years experience and more than 35 gigawatts of solar products installed. 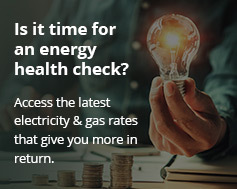 For further advice on upgrading an existing solar power system to incorporate Tesla Powerwall; contact our friendly team on 133-SUN, or get an obligation-free Powerwall retrofit quote – we’re currently offering generous rebates. Energy Matters parent company is an Authorized Tesla Energy Reseller. Our experts have been installing battery systems throughout Australia since 2006. We have the people with the skills and experience to ensure your Powerwall installation is carried out in a way that ensures peak performance. So, if you need to retrofit Tesla Powerwall Battery, then contact us now. Haven’t gone solar yet? Get a quick solar quote and start getting ready to join Australia’s solar + storage revolution! Still thinking about home battery systems? Learn more about Tesla Powerwall.